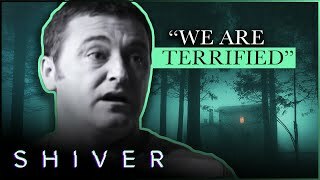 When it comes to scary phenomena on Most Haunted, it seems that the long-time team member Stuart Torevell is often at the receiving end. Stuart's cousin, the show's host Yvette Fielding, recently said her overall scariest moments are the ones where "those you love get hurt," and there's been a few of them. 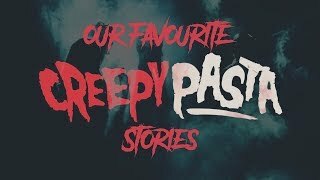 Yvette said, "even going back as far as Edinburgh Vaults being scratched and burned at East Drive, those for me were turning points where I was in tears both times after those locations, and praying and I couldn't sleep and then it really freaked me out at home." Below are eight of the most terrifying incidents that have occurred to Stuart during the 16 year history of the show, one of which resulted in life changing consequences. During the 2017 Halloween special at Croxteth Hall in Liverpool, Stuart became the victim of poltergeist activity. The team were about to move on to their next location, when Stuart was hit by a flying object in the form of a rock. Talking to camera, he said "this thing came from nowhere, hit me on the leg and landed on the floor. Whether it was aimed for me I don't know. But I don't know where that one have come from". Throughout the filming of the episode filmed at the former Ripon Liberty Prison, the team seemed to encounter problems with batteries inexplicably draining in their cameras and lights. Stuart was forced to go out to get some supplies, while he was gone demonologist Fred Batt managed to get one of his trademark chants in, "Lucifer prince of darkness if you are here, or any of your servants, come forward at let yourself be known. Kick one of us, push one of us." No sooner had Fred said the words, Stuart who was walking back towards the jail cell with batteries tripped and fell right in front of a camera he'd earlier placed on the floor. Whether Stuart was push by a demonic spirit or if it was just a coincidence we'll never know. The 2018 special at Codnor Castle Cottage saw a cursed doll spontaneously burst into flames, and Stuart was first on the scene at the terrifying incident. Stuart, was manning the camera at the time, he shouted "holy ****, what is that?" and ran to the room at the end of the attic where the doll had been placed. On seeing the eerie toy, he screamed "no way! The doll's on fire!" Stuart at first tried to blow the doll out like a birthday candle, before knocking it off of its plinth and stamping it out, "how the hell did that happen?" he asked. Yvette eventually arrived on scene and was amazed by what she was seeing, "a thing has just spontaneously burst into flames, should we not be worrying? Should we really be here?" While at the infamous poltergeist house, 30 East Drive, Stuart was involved in another terrifying incident, this time with Karl Beattie. Yvette and the rest of the team were filming downstairs when they heard a scream upstairs. Yvette said that over time the marks worsened and we were shown photos of some quite gruesome looking burn marks on Stuart and Karl's forearms. It was Stuart who was the first to spot a ghostly figure in the 2017 series in the stables, a wing of Wentworth Woodhouse, a Grade I listed country house in the village of Wentworth, South Yorkshire. Karl, who was with Stuart at the time, caught the apparition on camera. Yvette described the clip as the show's "most groundbreaking footage" to date. Karl had rested the camera just inside a doorway, looking out at a dark corridor when Stuart spotted the figure. Believing it to be another member of the team or someone else in the building, Stuart chased after the figure only to find there was no one else on the floor. What makes this sighting unique is that it was witnessed by two different teams of investigators in different locations simultaneously. While Karl and Stuart saw the figure upstairs, Yvette spotted the same shadowy figure at the same time from the ground floor while looking up at a balcony. Stuart was taken home after receiving medical attention following a mysterious incident at a haunted cotton mill in Stockport in one of the show's most terrifying episodes to date. After being left alone to wander the lower floors of Weir Mill in the dark for over an hour, Stuart failed to meet up with the rest of the team. Worried, Karl went to look for him and was astonished by what he found. Stuart was slouched against a wall in the dark, his clothes were covered in dirt and he had a nasty cut on his face. Karl obviously concerned for Stuart's wellbeing said, "you're covered in crap, what's happened?" All Stuart says in reply is, "I just need to go home now, that's all I want to do." Taking a closer look at Stuart's injury, Karl says "Stu, that's a bad cut man" and again asked what happened, Stuart says "I honestly don't know." After receiving medical attention, presumably to have his cut cleaned up, Stuart's night was over and he was taken home leaving us none the wiser about how he had ended up in this state. In 2015, Stuart and the team embarked on a two-part investigation of Hill House in Sandbach. In the second half of the night-long vigil, Stuart was on his own, when he heard a bang coming from the other side of what he thought was a cupboard door, but when he opened the door he was surprised to find a staircase. He followed the stairs up into the darkness and found himself in an attic area. He then heard more banging coming from a room in this area, he opened the door and went in to find it empty, but seconds later panic set in when the door slammed closed behind him. Stuart started hyperventilating and coughing, telling himself "calm down, Stuart, calm down." Standing in the darkened brick room he said, "you're stupid, what did you come in here for?" His breathing got worse and he really started to panic, when he realised that wasn't a handle on the inside of door. He started banging on the door and shouting, "hello, can someone help!" But the door was jammed shut, "open the door please. I'm sorry, I didn't mean to disrespect you." Stuart eventually managed to get hold of Karl on the phone, and the team tried to track him down, but in his panicked state, Stuart couldn't remember how he'd found his way into this room. They eventually found the hidden staircase, but when Karl got to the door Stuart was behind he found it locked from the outside. The key was in a box next to the door. 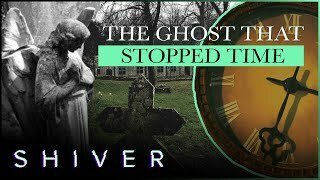 While the team were investigating the ghostly goings on at the Ancient Ram Inn, a pub in Wotton-under-Edge with the reputation as the most haunted in the UK, Stuart had his biggest scare to date. Towards the end of the episode, which aired in 2004, Stuart fell to the floor and screamed for help saying "I can't move." The team around him Karl, Jon Dibley, and Derek Acorah, and tried to comfort him, but Stuart cried "don't rub my chest." Derek said "I felt him being walloped the second time, he was hit fully in the chest and ribs." As a result of this incident, which was described as one of their most violent encounters to date, Stuart lost his hair due to alopecia brought on by the scare.